If you want to be in 100% party mode while in the freezing cold, you need this beer mitt. Seriously, forget about opposable thumbs and the ability to hold other stuff. As long as your hands are warm and your beer is cold, you’re good to go. 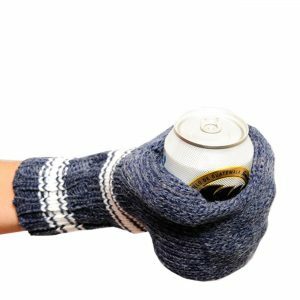 So, yes, all you need is the Suzy Kuzy Beer Mitt, the best and only knitted mitten that has but one soul purpose—to party. Available in multiple color combinations—surely, you will find something to match your fraternity’s colors. Premium quality and stitching. Great for tailgates, camping, sporting events, and parties. Wholesale discounts also available. Follow the link below for complete product details.